When you go to a Catholic university, it isn’t difficult to “find God on campus.” We have so many opportunities available to us here to engage in faith and community. To name a few, we have both Sunday Mass and daily Mass available on campus, there are Bible studies in the residence halls and there are faith-sharing groups like Ichthi and Restore. We also have several other events or organizations within Campus Ministry designed to promote spiritual wellness and allow students to grow deeper in their faith lives. We have many theology classes available to us here as well. Not to mention, Gannon University is covered in religious art through buildings and statues all around campus. Anywhere you look, you can find God. 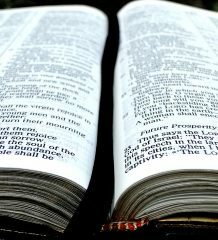 It is very apparent that we have a unique opportunity here to participate in faith-based activities that may not be offered at other universities, at least not to the extent that we have here. But, there is another important aspect of Gannon that can impact the way we practice our faith: we are an urban campus. Gannon students are connected to Erie and its community members in a rather direct way. We are built right into the city; we are not separated from it. 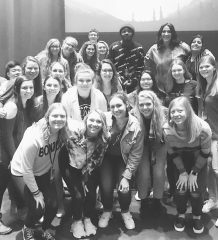 While we have a very important faith community here on campus, we also have a faith community that stretches outside the limits of Gannon’s walls. For example, there are many churches surrounding Gannon. St. Peter Cathedral on 10th Street is right across the road from the Morosky Academic Center. It offers several Sunday Masses and daily Mass services. I have been to the 5:15 p.m. daily Mass service there many times. Because of this, I have been able to converse with Erie community members I wouldn’t otherwise meet and I have met Erie priests I wouldn’t otherwise know. And that is only one of the many beautiful churches in proximity to Gannon. St. Joseph Bread of Life is another church I personally love going to. 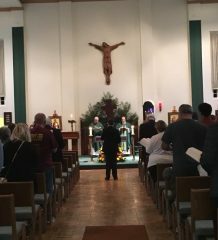 It offers 24-hour adoration as well as hosting the Devine Mercy Encounter retreat, which is a Catholic faith-based retreat for all ages, open to anyone, including Gannon students. Aside from all the beautiful churches, there are also endless service opportunities within the Erie community that students may easily get involved in. Catholic social teaching is an important part of the Catholic faith with a strong emphasis on service. Engaging in these volunteer programs or activities is a great way to also engage in your faith. Through programs like GIVE Day and the many clubs and organizations as well as the service learning initiative built in to many Gannon classes, I have learned about many volunteer opportunities in Erie. Hooked on Books, Basket of Blessings, Presque Isle and Asbury Woods cleanups, the Mercy Center for Women, the ANNA Shelter and Hope of Horseback Therapeutic Riding Center are only a few of the volunteer opportunities or organizations I have been able to participate in thanks to our unique connection with the community. I am extremely thankful to go to a university where I can not only find God on campus, but I can also find God in the extended community within the city I am so blessed to live in.